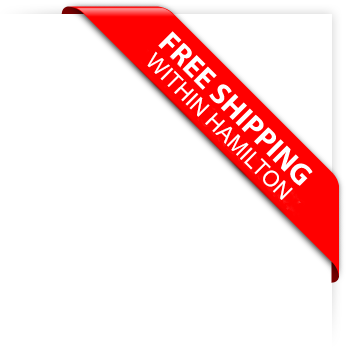 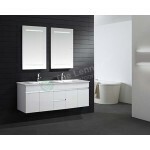 The Misty range of vanity units is a contemporary, gloss white range of bathroom furniture, ideal for when storage is key. 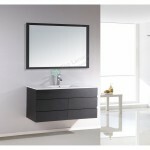 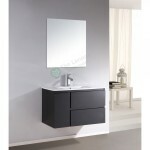 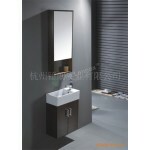 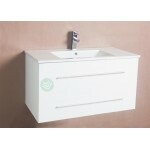 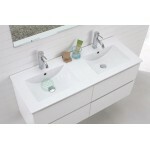 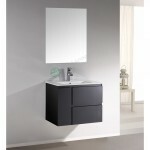 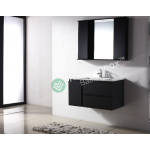 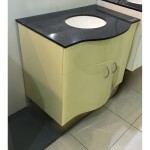 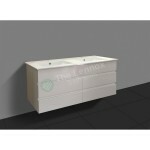 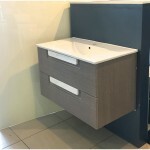 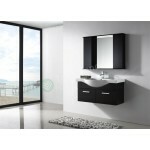 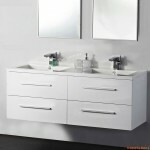 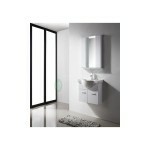 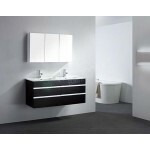 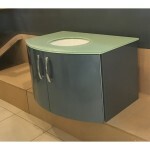 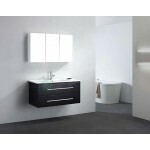 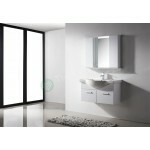 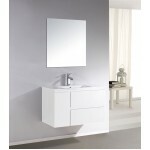 This wall mounted vanity unit is one of the smaller in the range, perfect for space saving. 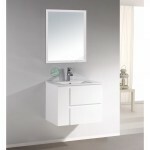 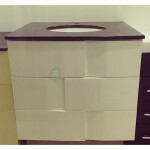 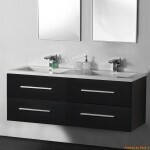 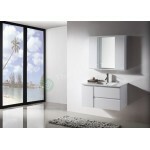 Store your cosmetics, towels and other bathroom accessories within the vanity unit's cupboard, below the ceramic sink. 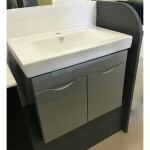 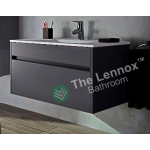 This vanity unit is wall mounted, which gives the room the appearance of more space, with additional floor space visisble below the unit.